Further to my previous review of the faulty sill-plates I had on my car, I must stress that mx5parts were very helpful and efficient in offering me a replacement or refund. This company is a pleasure to deal with and I will continue to enjoy doing business with them. 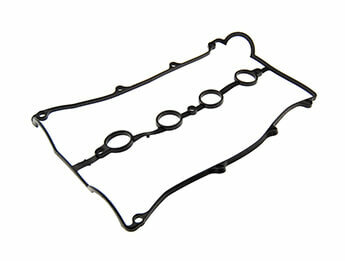 Many thanks to Bryan Short, of mx5parts for his prompt replies and actions. Fitted these sill plates to my MX5RF. Like others, I didn't use the paper templates. Take time to get the correct locations before marking around with..
Quality is OK and they not only look nice but do the job they are designed for. 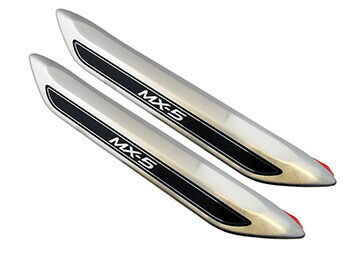 When fitting you only need the small cut out, throw the rest away, us..
Further to my previous review of the faulty sill-plates I had on my car, I must stress that mx5parts were very helpful and efficient in offering me a .. I fitted mine, according to the instructions, in October 2016 and they really looked good. However, recently they have started to come apart - the bla..
Good quality items which improve the look of the car and usefully help to stop those scuff marks. Easy to fit but as others have said just put them in.. Very easy to fit, know need to follow the fitting instructions. just use your eye and place them in the correct position and mark this with a pencil t.. The sill plates finished off my new mk4. My husband had them fitted in 10 mins. I am really pleased with the look of the. Practically,not sure if they..
easy to fit , before you remove any of the tape check them against the body work for fitting. I marked mine out with a pencil , did not use the temp s.. These look good when fitted, but what a faff to fit. You need lots of patience !l You are supposed to cut out flimsy paper templates, which dont lie w..